X marks the spot, DT card for ABC Christmas Challenge. ABC Christmas Challenge is here with a new challenge. or whatever you can come up with! a Magnolia image from the 2011 Christmas Collection. Tilda is sitting on a sledge, another Magnolia image. Oh boy I was struggling getting Tilda on the right place! The sparkling papers are 'Snowfall' from Bo Bunny. I have glitter in my face right now! 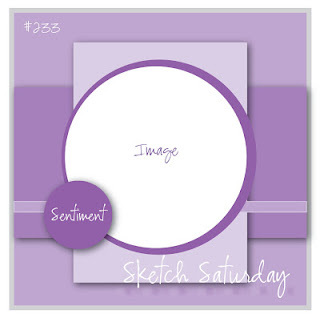 that holds the ticket sentiment from Whimsy Stamps. The back side of the card with my personal stamp. I have used this sketch from Everybody-Art-Challenge. our challenge blog to see what my talented teamies have made for this challenge!! Picture Pose fra Sugar Nellie. Mønsterpapiret er fra Maja Design, Crea Diem serien. Weathered Clock dien fra Tim Holtz gjorde sig fint her. været så meget af det lige i dag. Det har styrtregnet det meste af tiden. Sådan set en fin dag at være på job. Så mine bilder er taget i fototelt og med dagslyslampe. Jeg har brugt denne sketch fra The Sugar Bowl. Nu venter sidste del af serien 'Forbrydelsen'. And the chocolate is still there...DT project for ABC Christmas Challenge. so make some wrapping paper, a gift box or bag. wrapping Christmas gifts if you prefer. or you can say, made a new cover. Here's a look at the yummie Toffifee. going to become a favourite of mine. Maja Design from last year's collection. The snowflake in the corner is a Memory Box die. I have added Stickles onto Tilda's coat, or is it sleeves? The silver and white ribbon is from IKEA. Button and pearls are from my shelves. For once I'm pleased with how my flowers turned out. Here's a picture where you can see the cover better. And here the orginal box. it's a great gift to give when you are visiting friends. We have 2 fabulous sponsors for this challeng. one lucky entrant a $15 voucher to spend in her store. is here with a new challenge for you. challenge over the last weeks. I just loved looking at all the variety of projects out there. if you are one of our lucky winners!! "I am thankful for Babies "
baby boy to our teamie, Paula. Congratulations to Paula and her family on their new addition! that have to do with babies. to see what my fabolous teamies have made this time. I have made a card for Paula using 'A Birdie Told Me'. 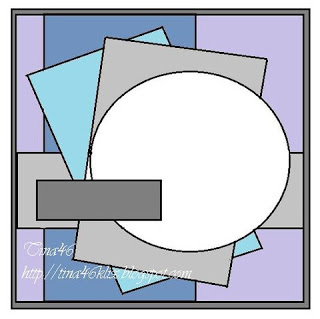 You can find the image here at House Mouse Designs. I think I have used them for nearly all baby cards I've made. I have added glitter onto wings, but it's difficult to see. Ribbon, pearls and charm are from my stash. and when you pull the cloud up there's a hidden message. Here you can see the 'secret' words. Do you agree?? The card with the cloud-tag pulled out. Today I've made a special little 'Handmade by' circle. with a part of the House Mouse image. so it's outside the frame. 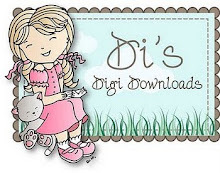 House Mouse Designs-A $25 Voucher for their online store. we can't wait to see your lovely 'BABY' creations. DT venner som lige har haft fødselsdag. Stort klem og forsinket tillykke med dagen. DT teamies who recently celebrated her Birthday . Big hugs and congrats to you. at det er et af mine favourit mærker. Farverne er ikke så typiske for mig, men de hører årstiden til. Stemplet er fra hÂnglar og stÂnglar, en svensk producent. det virker som om de har lagt ned. Jeg har brugt samme opsæt som på dette kort. Jeg kunne vældig godt lide layoutet. har jeg valgt at bruge en embossingfolder med lykønskninger. Bladene i forskellige efterårstoner er punchet ud. den store overraskelse for jer der har været her før. kære svogere der hastigt nærmer sig de 50 år. maskulint kort hvor det gerne skulle fremgå. Stemplet er 'Cool Edwin' fra Magnolia, en tilpas afslappet fyr. Han har fået 'paper pieced' t-shirt på. jeg havde næsten glemt jeg havde dem. Endelig har jeg fået afprøvet min alutape fra Biltema. Cuttlebuggen sammen med en embossingfolder. Resultatet blev dette flotte værkstedsgulv. lavet med Spellbinder Sprockets Dies. Her er bagsiden af kortet. Jeg har brugt sketchen fra Sketch Saturday. W for Wrapp it up, DT project for ABC Christmas Challenge. with a new challenge for you. We are up to the letter W, and Lols is todays host. W for Wrap it up! I have to warn you, I have a lot of pictures to share with you today. I have made a little bag recycling a brown paper bag. It was difficult to take some decent pictures showing my project. 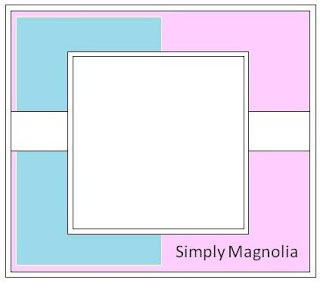 I have used a- for me- new Magnolia stamp. It's from last years 'Sweet Christmas Dreams' collection. A side view where you can see the paper bag. I found a super easy tutorial here at Anita's blog. The paper is from Maja Design, and the glittery stars from Nille. Ribbon is from my stash. The ticket stamp and die are from Whimsy Stamps. Tilda looks yellow in her face, but I can't explain why. Dear Santa.... DT card for HM&FMC. Once again it's Monday, I can't belive how fast time flies. I have used this cute image with Mudpie eating Santas cookies. You can find it here at House-Mouse Designs. The papers in traditional colours are from Maja Design. A close up at little Mudpie. The backside with the usual look. 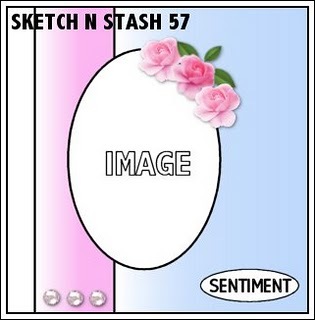 I have used a sketch from Sketch N Stash. and take a look at what my talented teamies have created. 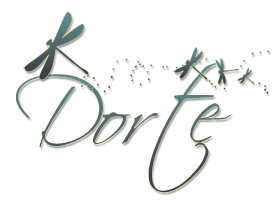 THE Official House-Mouse Designs site found HERE! sidebar and follow the steps to upload your projects. We are so lucky having two fabolous sponsors for this challenge. $25 gift certificate to the shop. Giving a $10 gift certificate to the store. Getting ready to Christmas, DT card for HM&FMC. Vi der bor i igloo!